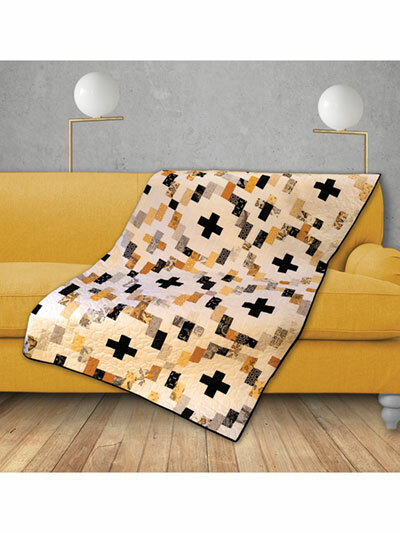 Dip your toes into modern quilting! 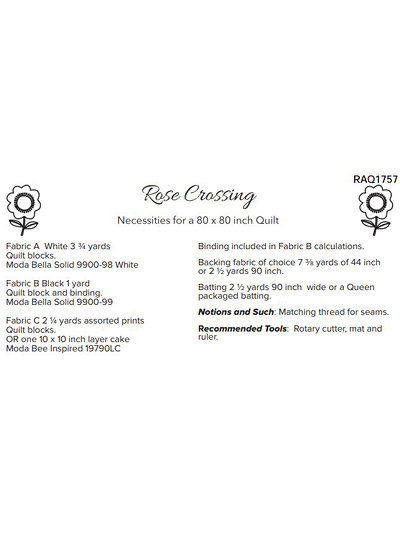 Rose Crossing consists of 16 finished blocks measuring 20" x 20", 18" x 20" and 18" x 18". In order to create balance and symmetry, additional sections are added to the block ends or taken away from the block bottoms. The strip-pieced design creates a modern "digital" rose in the negative space. Finished measurements: 80" x 80". Design by Deb Grogan of The Quilt Factory.